I know… The dreaded manual! It is really not that bad. You don’t have to read it from start to finish but one of the best things any car owner can do is to get out that manual! 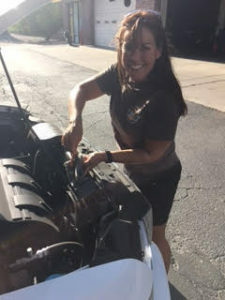 Your vehicle is an extremely complex machine and familiarizing yourself with its parts and when to take it in for maintenance would not only empower you but also save you money by avoiding a costly breakdown. This knowledge will serve you well throughout the life of your vehicle. Every car is different, that is why every car comes with its own manual with the specific language or dialect the fits your vehicle’s year, make, and model. Under-inflated tires is the number one cause of flats! Flat tire = breakdown. 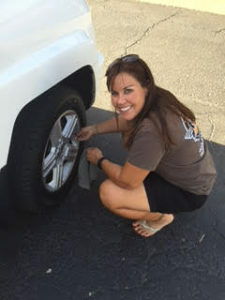 It is vital to check and maintain proper air pressure in your car’s tires. When a tire is low on air, the inside starts to build up and hold heat, which then can cause a blowout. Under-inflated tires also decrease fuel economy by as much as 10 percent. Look on the driver’s doorjamb for a label marked Tire and Loading Information for how much air should be in each tire. Today’s vehicles have any number of warning lights for a variety of on board components such as, the anti-lock braking system (ABS). Some lights can behave differently depending on the issue your car is reporting — a flashing check engine light versus a steady one. You can generally consult your owner’s manual to learn this information. *TIP: Never remove the radiator cap when the engine is hot or the car is running. Check your oil when the car is off but the engine is still warm. Check the transmission fluid with the car running but in Park. your car. Get belts and hoses inspected every six months and before long trips. It’s more cost effective to replace them before a breakdown occurs. A spare tire is crucial to have in the case of a blow out. Not only should you make sure you have a spare you should make sure that it is holding air. If you happen to have after market wheels you will need to make sure that the lug nuts will match up to your spare. Sometimes there is a special key that is needed to loosen the lug nuts. Make sure you have all needed equipment to get the job done. Be Proactive. Have a Breakdown Kit. A blanket or towel. This can be used as something to protect your knees or clothing from the ground or keep you warm if it is cold out. A gallon of water. This can be used to drink or to cool an overheated radiator. Jumper cables. You never know when the sun is going to zap the remaining charge out of your battery.